ultra-thin Swedish steel for close shaves. for sideburns, mustache, hair touch-ups. oz. . .. . . .
place the shaver with a new shaver. defective in material or workmanship. store throughout the United States. ideal gift for any man. sideburns, mustaches and touching up haircuts. brush and carrying case incl. Guarantee, left. Lo! !cly g·ifl for a lucky lady. smooth. comfortable shaving action for underarms and legs. listed. Cord included. 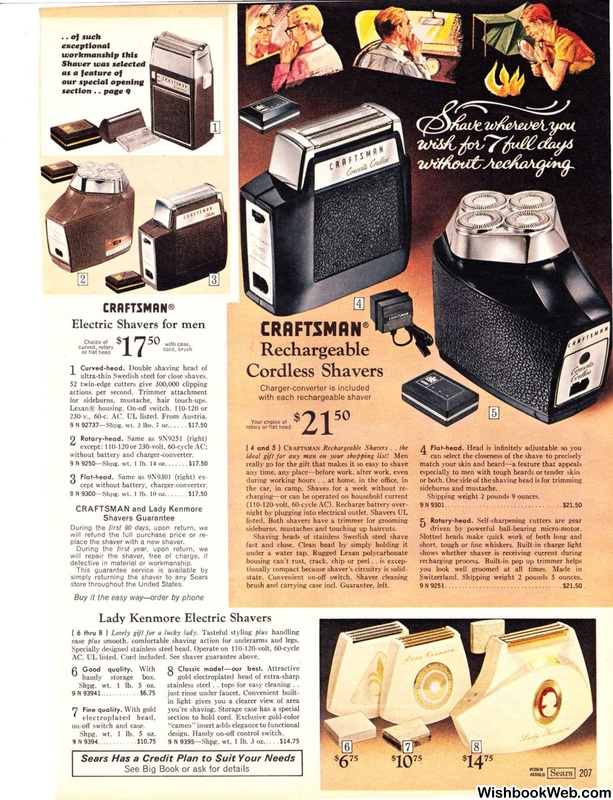 See shaver guarantee above. stainless steel .. tops for easy cleaning ..
design. Handy on-off control switch. driven by powerful ball-bearing micro-motor. 9251. . . . .